J. Christopher Deem is Of Counsel to Nyman Turkish PC and directs the operations of our Florida Social Security Practice as well as the Firm’s Social Security Appellate Practice nationwide. Since 1984, Chris has handled social security claims with a strong commitment to helping persons with disabilities navigate the complexities of the Social Security Administration. Chris is recognized as a national authority and expert on representing Claimants before the Social Security Administration and in the Federal Courts. 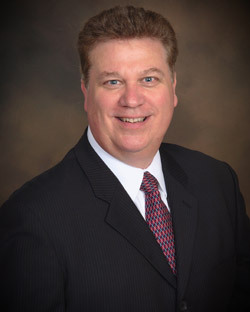 He is also among a select few Attorneys to have successfully represented Social Security Claimants in the United States Courts of Appeals, and he is a frequent speaker and lecturer on Social Security Disability Claims. Chris attended the University of Michigan and then returned to his home town of Columbus, Ohio to go to The Capital University College of Law. After graduation, he moved to Florida to start up and run the Florida offices of Barkan + Neff, the Ohio law firm where he clerked while in law school. While he handled workers’ compensation and personal injury cases, his larger area of practice was attending hearings and handling appellate arguments for social security claims. He became a partner, and managed the Central Florida offices until 1990. Next, he became affiliated with Prugh & Associates, which later became Prugh, Holliday & Deem, where he handled both social security and personal injury litigation. He remained with the firm for 14 years. In August, 2004, he opened his own successful boutique trial practice, J. Christopher Deem, P.A., which he ran until 2016 when he joined Nyman Turkish PC. Professionally, Chris is licensed in the State of Florida, with the Social Security Administration courts, and in the federal courts for the Middle and Southern Districts of Florida and the Eleventh Circuit Court of Appeals in Atlanta. He is also a Sustaining Member of the National Organization of Social Security Claimants’ Representatives (NOSSCR), and has lectured twice, in 2006 and 2011, at their national convention. He is a past Chair of the Hillsborough County Bar Association’s Social Security Section, and has lectured on Social Security topics locally and as a guest lecturer at the University of South Florida. The Capital University College of Law, J.D.